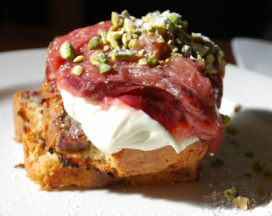 scroll down for delicious recipes, using ccnut oil/ccnut flour/ccnut milk/cream. he explains how at turn of century it was used, then the wars. inhibited its availabilty. You can listen and print it out, - I reco printing it, for ease of reference and sharing the info with others. Coconut oil is anti-viral, anti-fungal, and anti-bacterial. When bacterium, fungi or viruses are killed off suddenly, we can feel sick! So start slowly. Take 1/2 teaspoon per day, and work up to 1, then 2 then 3-6 tablespoons per day. ie only use coldpressed organic oils/olive oil in salads). IE re-learn re good and bad fats, it is VITAL info for heart health, weight etc. Use it for Sauteing delicious veggies. Use it for Popping Popcorn instead of vegetable oil. Use it as an all-natural Lubricant. Use it as the base for making Chocolate. Use it as a natural Gel if hair gets fly-aways. Baby Lotion or beloved olive oil. Put it on legs before shaving in the shower rather than using scary Shaving Cream. Slather it on after a shower instead of spending time making or buying expensive Body Lotion. There you go. That's 15 uses for coconut oil every day. Thank you All Natural & Organic. Say No To Toxic Chemicals. and helps in healing and repair, as well as aiding vitamin D synthesis. So why are we driven to bring down these levels to very low amounts? Drug companies. which the body can utilize very quickly for energy. which are the most dangerous fats of all. find them even more jarring to bodily health than smoking a cigarette. Lauric acid is incredibly anti-bacterial, anti-viral, and anti-fungal. The only other source of lauric acid that I know of is human milk. Medium chain fats are converted to energy rather than stored as fat in the body. begin with less by combining 1/2 coconut oil with virgin olive oil, or melted ghee. coconut oil is solid when cold and liquid when warm, it's always liquid in the body --- cannot coagulate in arteries...-saute foods, add to smoothies any cooked dishes, make raw recipes with it, use it as a base for cheesecakes and slather it on your skin, teeth, hair etc. It is truly a WONDER food. To maintain good health it is important that we have the correct intake of omega fatty acids in our diets. Hydrogenated fats like margarine are non-foods with toxic effects and should be avoided at any cost. We must remove junk foods, processed foods, transfats/heated fats and sugars from our diet. so Omega 3 can convert to what our body needs. put lid on and it's cooked in 5-10 mins. and this would be hard to do WHEN alzheimers is present. 1. HOW CAN COCONUT OIL BE USED IN THE DIET? in baking or cooking on the stove, and can be mixed directly into foods already prepared. coconut oil smokes if heated to greater than 350 degrees or medium heat. temperature in the oven when mixed in foods. OIL? DOES IT CONTAIN OMEGA-3 FATTY ACIDS? Coconut oil has about 117-120 calories per tablespoons, about the same as other oils. in the body for energy. This portion of the coconut oil is not stored as fat. is that there is nowhere on the molecule for free radicals or oxidants to attach. About 6% of the oil is monounsaturated and 2% polyunsaturated. which are one of the components of the “statins” used for lowering cholesterol. or taking fish oil or flax oil capsules, 2-3 per day. Some other good sources of omega-3 fatty acids are ground flax meal, chia (a fine grain), walnut oil and walnuts. Lauric acid is a medium chain triglyceride that makes up almost half of the coconut oil. and may inhibit growth of certain bacteria, fungus/yeast, viruses and protozoa. It is one of the components of human breast milk that prevents infection in a newborn. 3. WHAT KIND OF COCONUT OIL SHOULD I USE? Look for coconut oils that are non-hydrogenated with no transfat. Avoid coconut oils that are hydrogenated or superheated because it changes the chemical structure of the fats. or “RBD” (refined, bleached and deodorized) coconut oil, which do not have an odor. The oil itself is tasteless. The least expensive that I have been able to find so far is the Louanna brand at Walmart, $5.44 per quart. whereas the oil is 14 grams per tablespoon. Capsules might be useful for someone who will not take the oil. Coconut oil is a clear or slightly yellow liquid above 76 degrees but becomes solid at 76 degrees and below. the oil will tend to be a white or slightly yellow soft semi-solid. 5. WHAT OTHER COCONUT PRODUCTS CONTAIN COCONUT OIL? 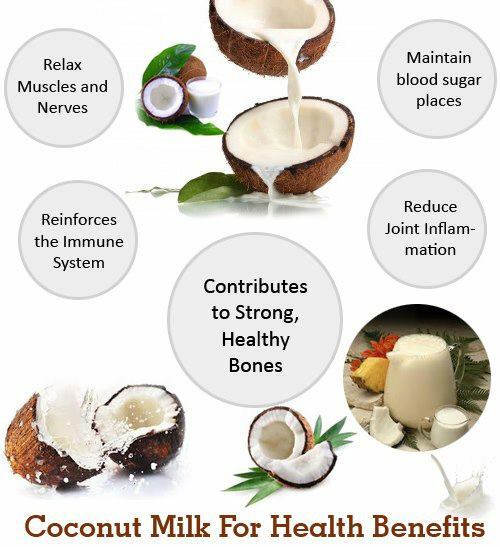 Coconut milk is a combination of the oil and the water from the coconut and most of the calories are from the oil. Look for brands with 10 to 13 grams of fat in 2 ounces. Look in the grocery store’s Asian section. Some brands are less expensive but are diluted with water. 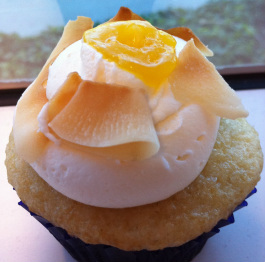 Coconut cream is mostly coconut milk and sometimes has added sugar. coconut oil and fiber and has about 15 grams oil and 3 grams fiber in ¼ cup. Frozen or canned coconut meat usually has a lot of added sugar and not much oil per serving. A fresh coconut can be cut up into pieces and eaten raw. A 2” x 2” piece has about 160 calories with 15 grams of oil and 4 grams of fiber. also be purchased in some health food stores or on-line. This may be useful for people who are on the go and do not have much time to cook. 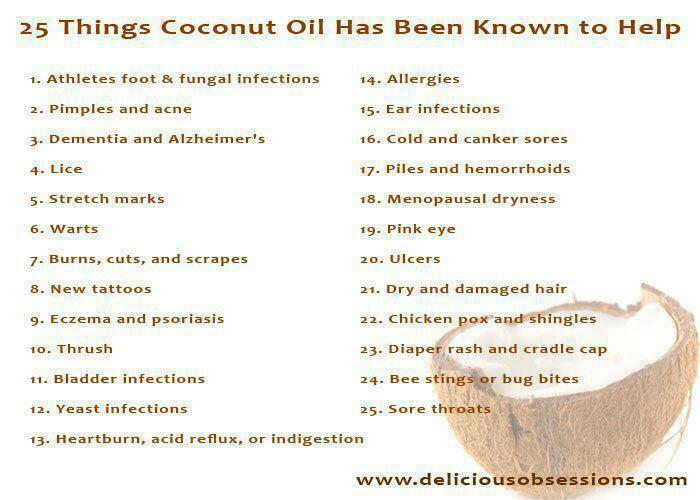 usually contain coconut oil, but has other health benefits. The electrolyte composition is similar to human plasma and is useful to prevent or treat dehydration. 6. HOW SHOULD I STORE COCONUT PRODUCTS? Coconut oil is extremely stable with a shelf life of at least two years when stored at room temperature. It does not need to be refrigerated and becomes extremely hard when cold. into each section of a plastic ice cube tray. The coconut oil easily pops out of the plastic tray. Coconut milk is mostly coconut oil and can be substituted for the oil in many ways. Coconut milk must be refrigerated after opening and should be used within a few days or tossed out. the refrigerator for a few days or freezer for a couple of weeks. 7. WHO SHOULD TRY THIS? which may be used by brain cells as energy. multiple sclerosis, Duchenne muscular dystrophy, autism, Down’s syndrome, and Huntington’s chorea. lessen the effects of diabetes I or II on the brain and other organs. doctor may be willing to prescribe coconut oil to be given at each meal, increasing gradually. 8. HOW MUCH SHOULD I TAKE? If you take too much oil too fast, you may experience indigestion, cramping or diarrhea. increasing slowly as tolerated over a week or longer. depending on the size of the person, spread over 2-4 meals. Mixing MCT oil and coconut oil could provide higher levels and a steady level of ketones. tolerated, starting with 1 teaspoon. This mixture will stay liquid at room temperature. coconut oil for every 10 pounds that the child weighs, 2 or 3 times a day. 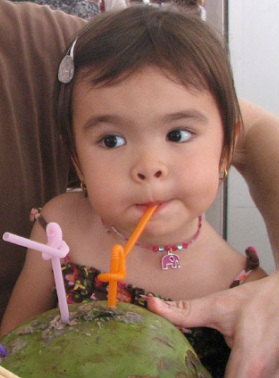 coconut milk for children under 1 year old due to risk of infection. 10. GAIN WEIGHT FROM THE EXTRA FAT IN THE DIET? cut back on portion sizes of carbohydrates, such as breads, rice, potatoes, cereals, and other grains. to which you can add coconut oil. which can make a big difference in the number of calories consumed. tablespoons. These are especially useful for combining salad dressing with coconut oil. 11. DOES COCONUT OIL INCREASE CHOLESTEROL? Hydrogenated coconut oil can increase cholesterol. Therefore look for non-hydrogenated coconut oil with no transfat. cholesterol, usually as a result of an increase in HDL (“good”) cholesterol. meat, whether wet or dry, such as flaked or grated coconut. and people who have diarrhea from MCT or coconut oil. All of your cell membranes and about 60-70% of the brain and are made up of fats. Cholesterol is a very important component of the support structure of the brain. which can carry BAD free radicals into your cell membranes. butter, along with omega-3 oils you may be able to undo some of the damage. and a decrease in certain problems such as yeast and fungal infections. potatoes, sweet potatoes, rice, vegetables, noodles, pasta. · Mix coconut oil into oatmeal or other hot cereal. · Add coconut oil or milk to smoothies, yogurt or kefir. · Mix coconut oil half and half with salad dressings. 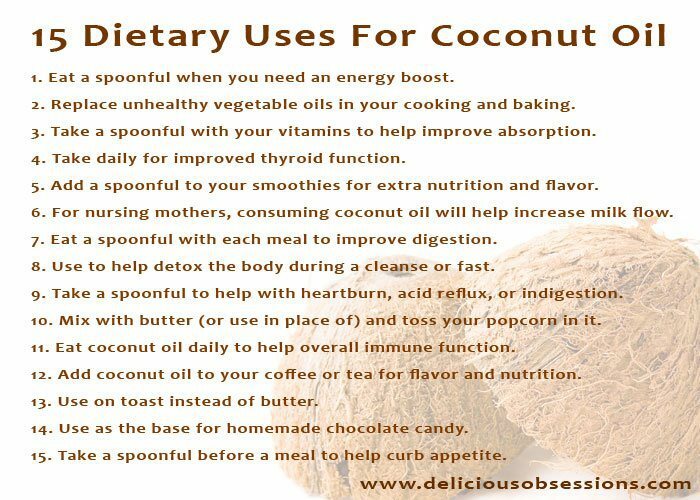 · Mix coconut oil into your favorite soup, chili or sauce. 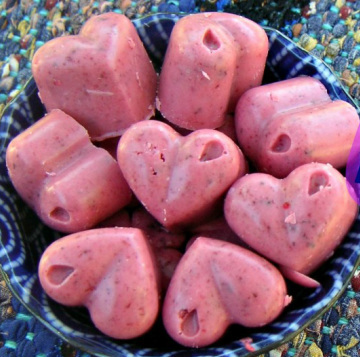 · Eat a 2” x 2” square of raw coconut for a snack to provide 15 grams of oil. Purchase or make coconut macaroons made from all natural products. Beat egg whites with salt and vanilla until soft peaks form. Gradually add sugar ( and stevia), beating until stiff. Fold in coconut. Coat cooking sheet with generous amount of butter. Drop by the rounded teaspoon onto cookie sheet. Bake at 325 degress for 20 minutes. Makes about 18 cookies. Each cookie at this size would have about 4 grams of coconut oil. - Store in refrigerator and discard unused portion after 4 days. and divide equally into a plastic ice cube tray and place in freezer. 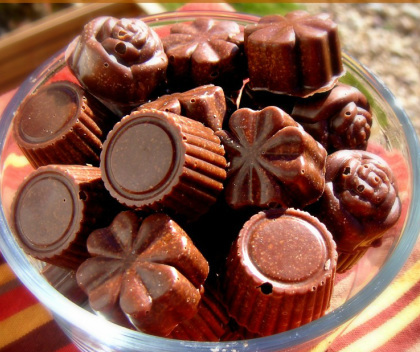 In a 16 cube tray, each cube will equal 1 tablespoon coconut oil. Add grated coconut and/or nuts for variety. 14. Glutenfreecat/Pumpkin Dessert - use coconut oil, serve with ccnut whipped cream. eg heat tin of pineapple and thicken it-Coconut and pineapple is delicious. Mix ingredient in a food processor and pour into crust. fruit eg banana, apple, mango. 2-3 Tblspns chia seed for thickening. -choose your liquid, protein, EFA, Fruit, Green. chia seed & your choice of sweetener, eg apples, banana. Use coconut oil for baking, frying, add a little olive oil to prevent smoking. Process nuts, oils, lemon juice, water and sea salt until smooth. Add a little more water if needed to reach a smooth creamy consistency. ENJOY esp on baked potato/vegies. 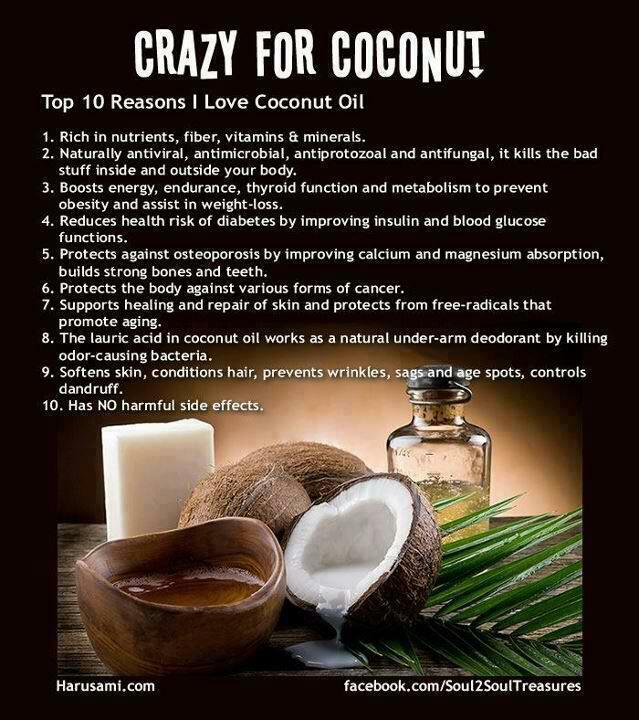 Coconut oil has been repeatedly shown to be beneficial rather than detrimental on cholesterol levels and heart health. It's been clearly established for over 80 years now that suppression of the thyroid raises serum cholesterol (and increases mortality from infections, cancer, and heart disease), while restoring the thyroid hormone brings cholesterol down to normal. -, coconut oil balances thyroid and normalizes cholesterol levels. "As far as the evidence goes... coconut oil, added regularly to a balanced diet, lowers cholesterol to normal by promoting its conversion into pregnenolone," "Coconut-eating cultures in the tropics have consistently lower cholesterol than people in the U.S."
Use organic coconut oil for all your cooking needs. It is far superior to any other cooking oil and is loaded with health benefits. and does not contain GM ingredients. 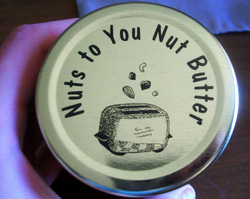 Use ccnut oil or organic butter (made from raw milk) instead of margarines and vegetable oil spreads. Raw milk butter is a healthy whole food that has received an unwarranted bad rap. and also take a high-quality source of animal-based omega-3 fat, such as krill oil, flaxseed oil.